Another week, another Short Course Blitz. Last weekend, I visited the high desert. 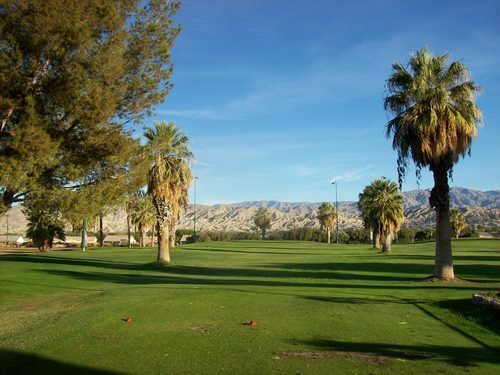 This weekend found me in the more desirable low desert of the Coachella Valley. 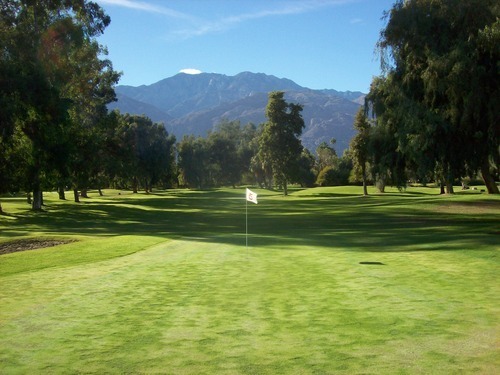 Obviously, there are a ton of courses out there, but there aren’t really that many public “short” course options. I’ve played a few before, but knocked out a big chunk of my to-do list on Saturday’s trip. I had booked a 7:36 “hot deal” tee time through GolfNow, but it was a bit complicated this time as they were having technical issues on Friday. I had to call GN and then they called the course to book the time. This has happened before without incident, but when I showed up, they actually had me listed at 11:36 and it wasn’t noted in their system that it was a pre-paid GolfNow booking. Thankfully, I had my confirmation printed. The guy still gave me some grief, but ultimately relented and let me go. 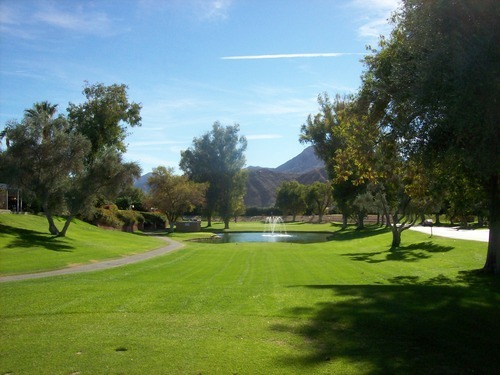 The price for that deal time was only $10, so it was a nice rate to walk 18 holes. I jumped out first ahead of another fivesome right at 7:00. I got around the course quickly. So ultimately, it worked out well despite the initial speed bump with the check-in. 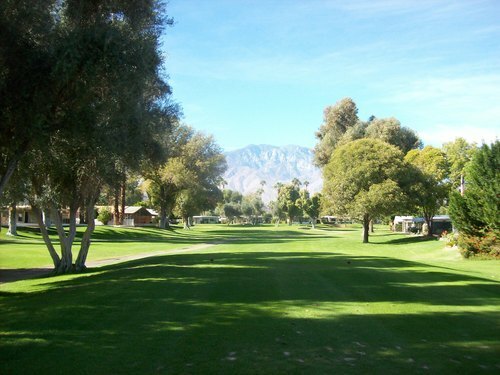 This course used to just be called The City of Indio Municipal Golf Course (or something like that). 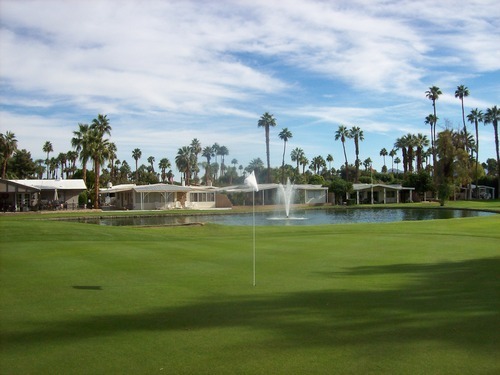 However, they recently changed the name and are heavily trying to rebrand it as The Lights at Indio Golf Course. They have all sort of new logo merchandise in the pro shop and are really pushing the new name. 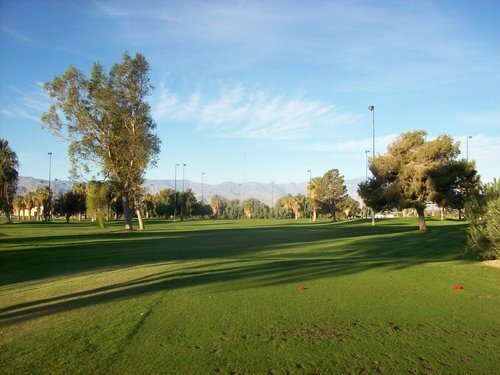 The name is perhaps a little more appealing than a bland old muni, but more importantly, I think it was a smart move to promote the major fact that this is the Coachella Valley’s only night-lit course. That said, the layout is very straightforward and simple. 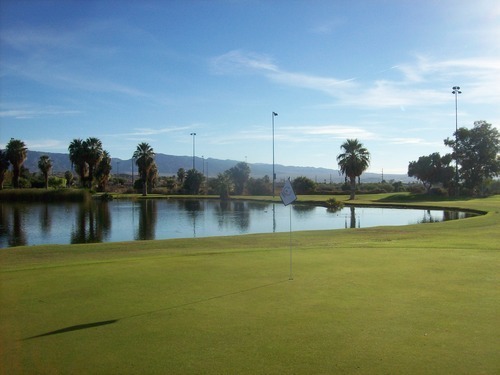 There are no bunkers on the course and only a couple holes where water hazards comes into play. 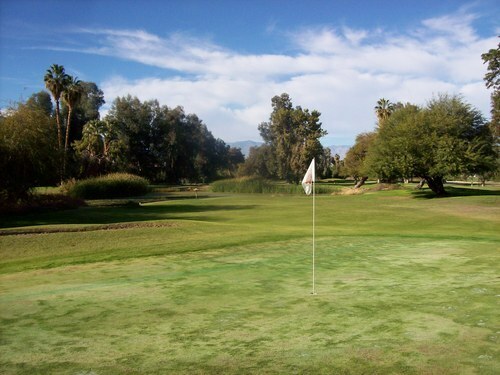 The greens are pretty flat and basic, and things are pretty forgiving all around. You might use a good number of clubs during your round, but you can fire away aggressively without much worry about finding trouble. The course was in decent shape. 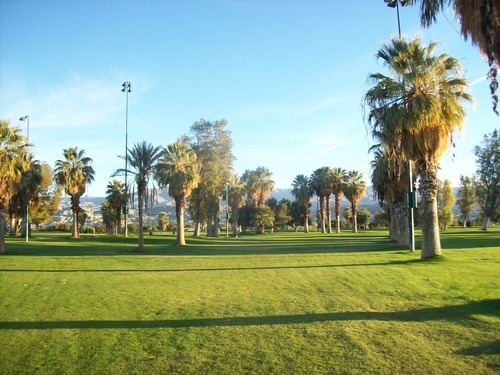 It’s mostly lush and green throughout and relatively well maintained, but definitely not the “manicured” look like you are used to in the Coachella Valley. The greens were pretty good and rolling at medium/slow speeds. 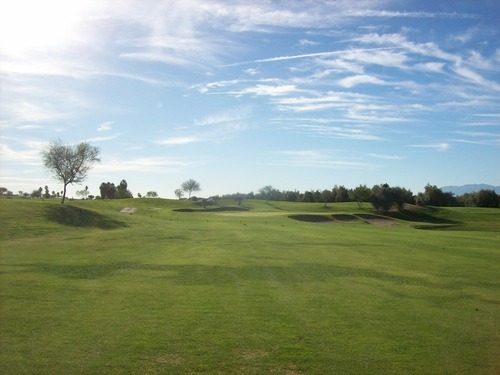 Overall, this is an okay par-3 course with a slight bump in appeal because of the lights for night play and pretty reasonable rates for what you get. 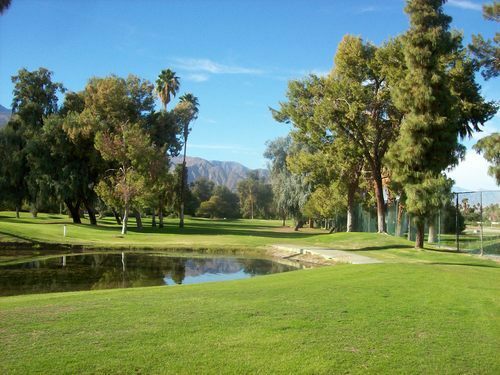 However, it will never hold a candle to Shadow Hills North as the premier public par-3 course in the valley. 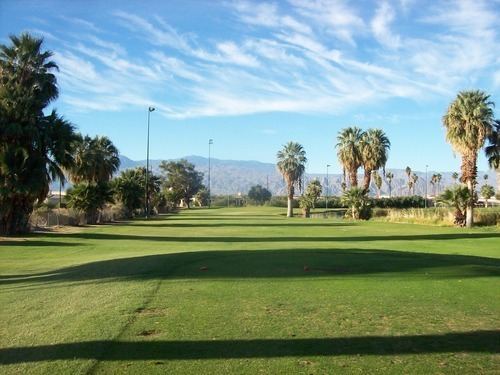 Everyone knows the Coachella Valley, but few could tell you where the actual town of Coachella is. 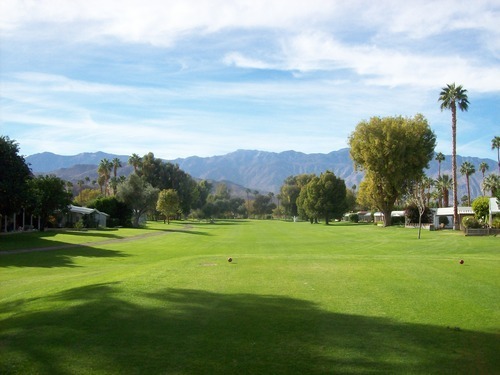 Well, it’s just east of Indio and I don’t think there’s much to it beyond a few gas stations and this RV Resort, which happens to have a pretty nice little golf course. I say “little,” but this is actually a regulation-length 9-hole course that plays to a par of 35. If this place had a full 18, it might be on more people’s radars, but as it is it’s kind of a hidden secret. I showed up around 8:30, unsure of what to expect as a walk-on. Turns out there weren’t too many people here and it was a breeze. The price was $20, which included a cart. 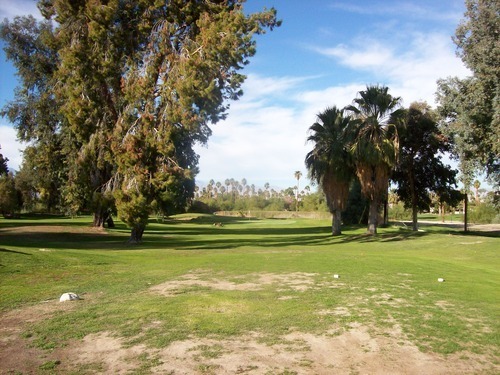 I played through a couple groups along the way and was stuck behind a foursome for the last couple holes, but it was a very quick pace overall. I didn’t know anything about the course heading in. I’m not sure when they added the “New” to the name, but I assume some renovations were made at some point. What I encountered was a good-looking layout that was pretty enjoyable. 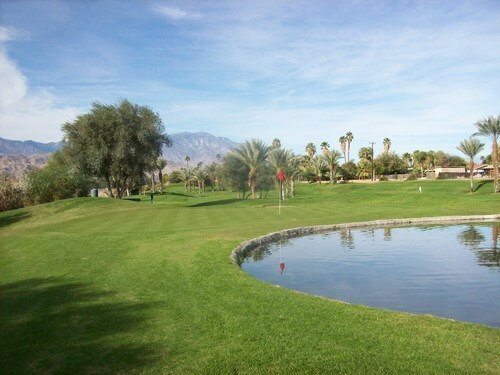 There are a number of water hazards throughout the course. It’s forgiving and fair, but certainly no pushover. 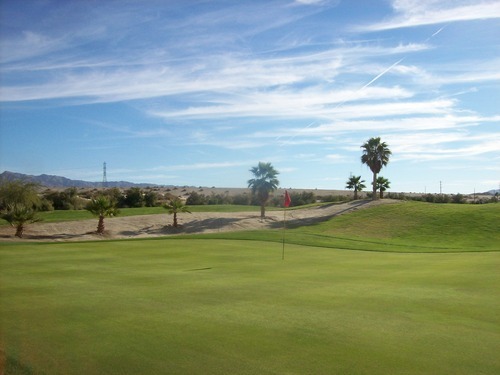 The greens feature some nice undulation and there are plenty of bunkers in play, as well. 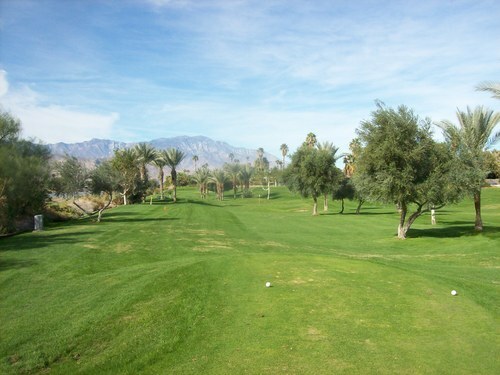 There are separate tees for front and back nine play, with the back nine ones always being a little longer. This is an advantage on one hole when you play the back nine. 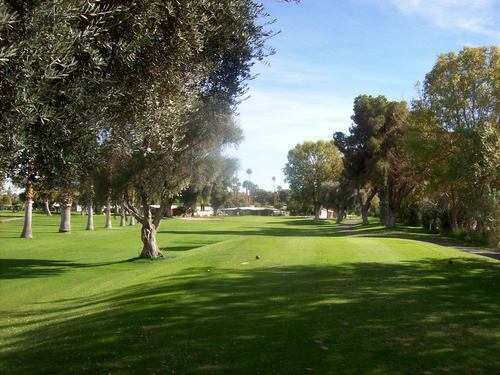 The 9th is a really tough par-4 that plays 460 yards and features a split fairway. 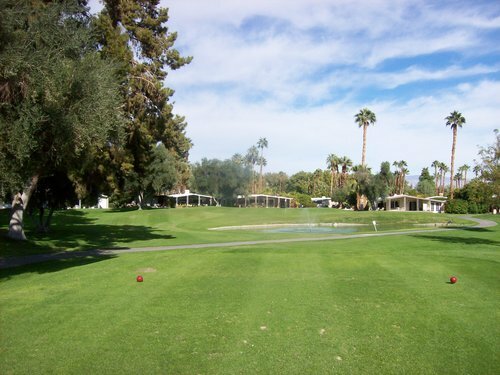 A creek runs diagonally down the center and then there’s a big water hazard right in front of the green, too. It’s a beast as the 9th. 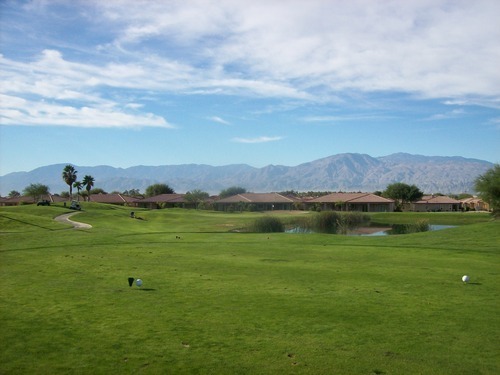 However, as the 18th hole, it plays as a 506-yard par-5. Beyond that finishing hole, the hole lengths aren’t drastically different from front to back. 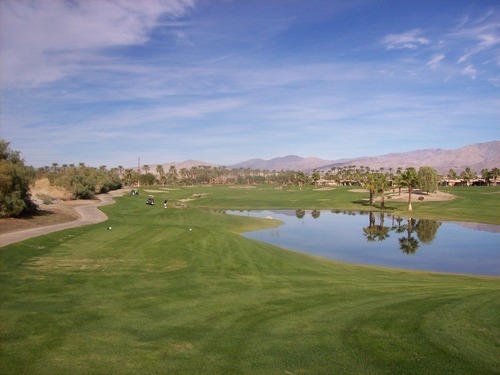 I played the front nine as my round, which was 2,911 yards total. 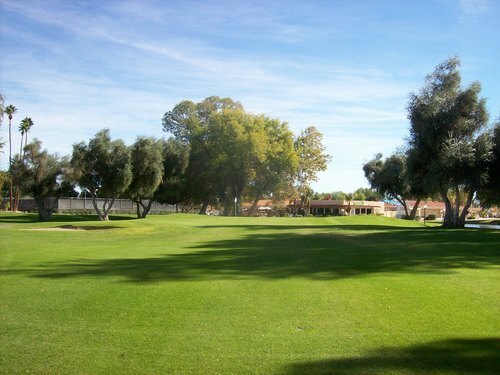 The course was in pretty good shape, though it is not too far out of reopening from overseeding. The tee boxes were very good. 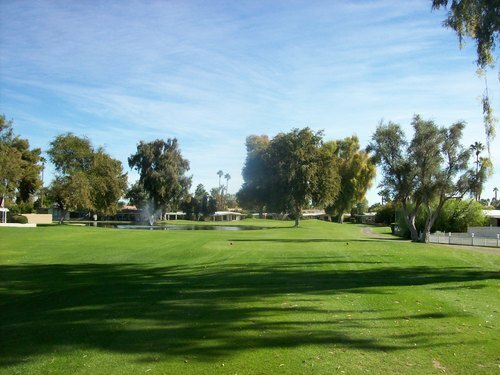 The fairways were mostly great, but then there were a handful of fairly big patches of bare dirt that looked really bad. I’d say it was 90% excellent and 10% terrible with no in between. The rough was mostly good, but I also noticed some poor spots here and there. The bunkers were nice and the greens were good overall—soft and rolling smooth at medium speeds. 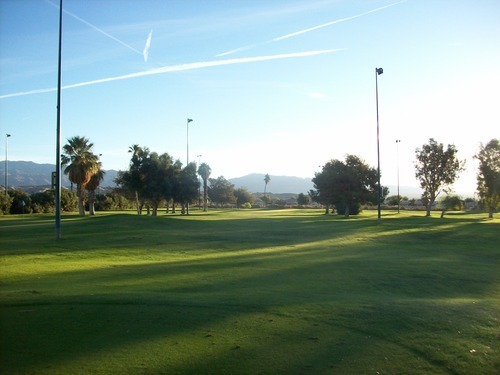 Would I recommend this course over all the great full-length courses throughout the valley? Of course not, but for a quick nine at a reasonable price, it’s a very enjoyable layout and I don’t have much bad to say about it. Actually one bad thing… I noticed the blue flags were front pins and the reds were in the back. What the?!? 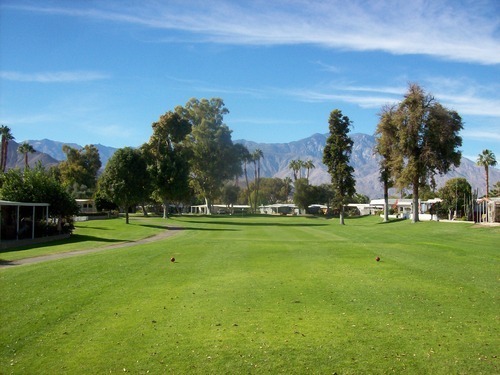 This little course is perhaps better known as the home of The First Tee of Coachella Valley. And in this case, I do mean “little” more literally. I showed up at just the right time. 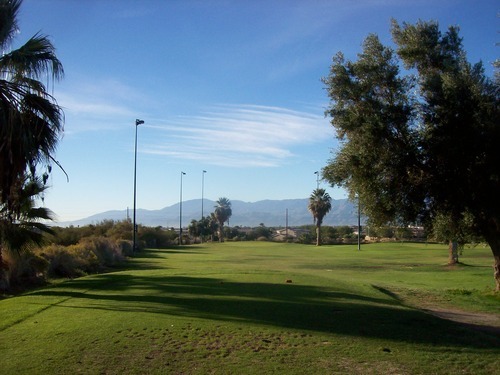 I got there around 10:00 and the place was quite packed with little kids all over the range and practice areas. I took a look out at the course and saw some big groups out having fun with their coaches. This was no big surprise to me as I assume Saturday mornings are when most of the youth groups, leagues and lessons would take place. However, I showed up during a perfect window. The on-course groups were just finishing up and the rest of it was wide open. The $17 fee was a bit steep for this course, but it goes to a good cause and I’ll do what I need to do to check it off my list! 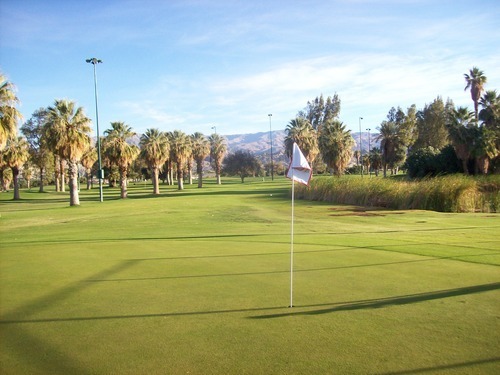 This course is definitely more of a true “pitch and putt” layout with holes ranging from 85 yards and the longest one being 129. 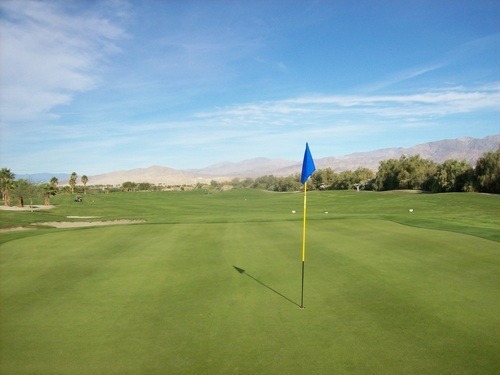 The greens are pretty small, but not always as simple as they look. A few had some good slopes and contours. This course had a more interesting look than I expected. I thought it would be a real basic course, but it’s pretty nicely designed. 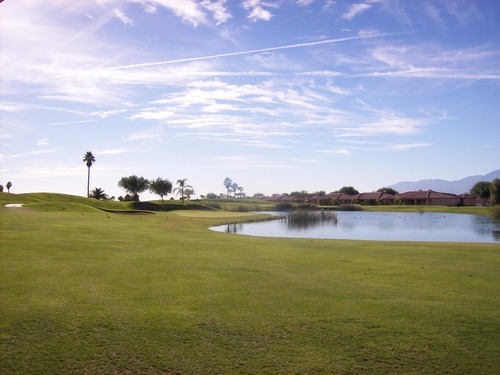 There are some water hazards in play and a few bunkers to contend with. There are even a few oh-so-slight changes in elevation. 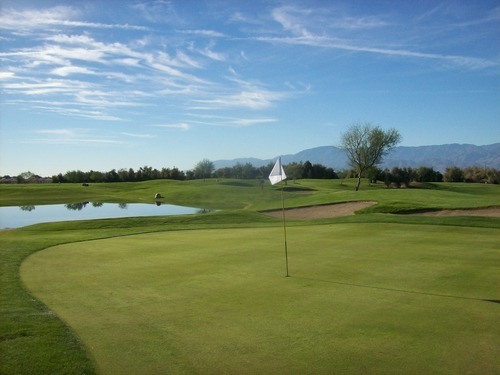 The course was in decent overall shape and the greens were maintained pretty well. Whoever set the pins at The “New” Vineyards must have come over here, too, because the reds were in the back and the blues were in the front. What the heck are they teaching these kids? This is a great beginner’s course and it serves its purpose perfectly as it’s designed to help kids learn the game. I had more fun with it than I thought I would and I support what the First Tee is all about, so what you get out of the experience is up to you. In the world of Short Course Blitzes, this was actually my marquee round for the day if that tells you anything. 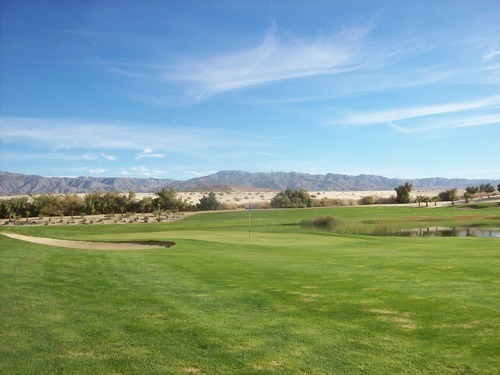 We played through one group at the turn but otherwise enjoyed our own pace, so that added to the enjoyment. We had a blast and I may have played the best round of my life, even though it’s hard to take too seriously on a short executive course like this. Still, a round of even par and 15 of 18 greens in regulation meant I was completely dialed in. 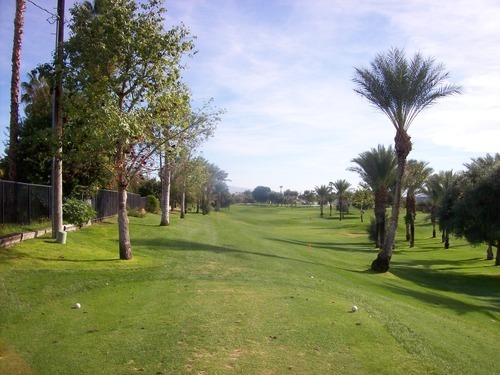 Date Palm is an 18-hole executive layout with four short par-4s and a good variety of par-3s ranging from 96 yards up to 195. The longer par-3s will certainly present some challenge, but it’s mostly pretty forgiving. 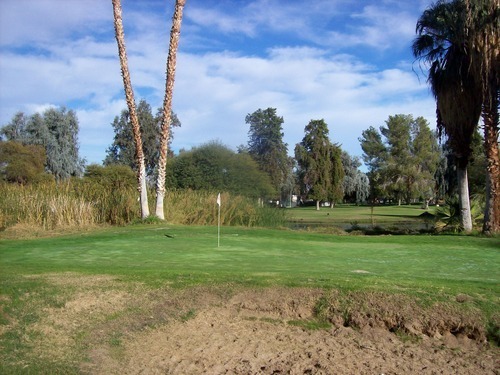 There are a few water hazards in play as the course winds its way around a small community made up mostly of mobile homes. 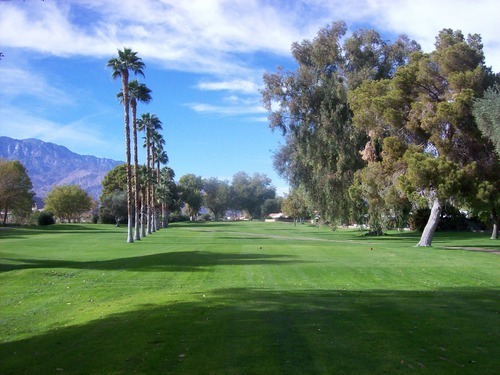 It’s a community that mostly caters to seniors and the course follows suit. 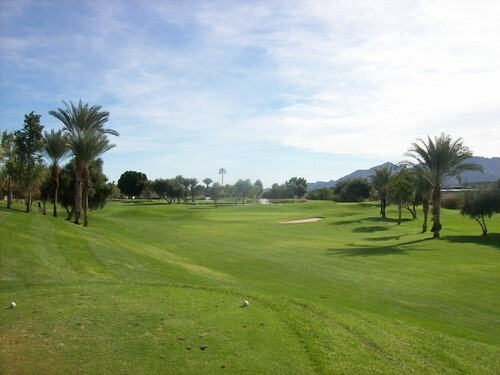 The course was in fairly nice shape. It’s still fresh out of overseeding, so it’s playing as cart-path-only for another week or so and everything is quite shaggy. The greens are fluffy and really slow, but I would guess in another couple weeks they’ll cut everything down appropriately and the course will be playing great. There isn’t really that much more to say about Date Palm. It’s a fun executive track and doesn’t pretend to be anything more than that. I got a reasonable rate, but it does seem a tad overpriced this time of year with normal tee times being in the $40-45 range. I wouldn’t pay anything near that. I got here around 2:00 and there were exactly two other cars in the parking lot. I saw a twosome out on the course and I would guess the other car was the woman working the pro shop. 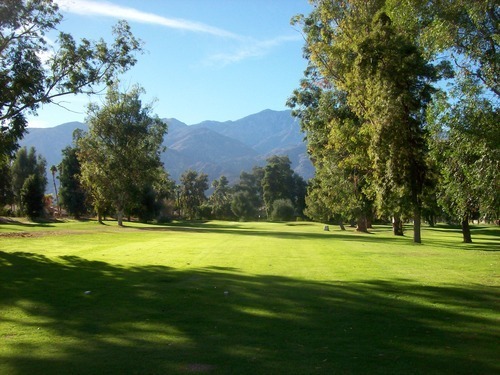 The price was $18 to walk nine holes, which was kind of a rip-off. After playing here the way it is now, it shouldn’t be more than a $5 or $10 bill. The layout isn’t horrible, but the conditions were pretty bad. Nothing really looked maintained from tee to green. The bunkers were a mess. And the greens were terrible. They were sandy, lumpy and slow. 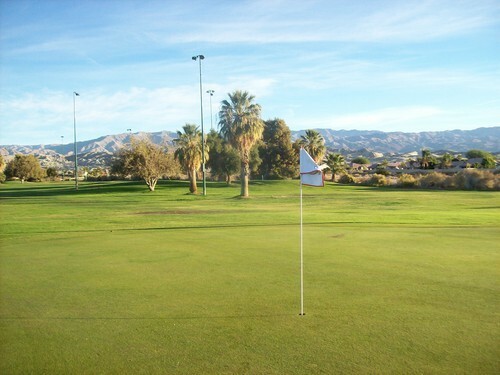 There was no real point to putting, so you just kind of give the ball a whack and hope it catches all the right bumps on the way to the hole. 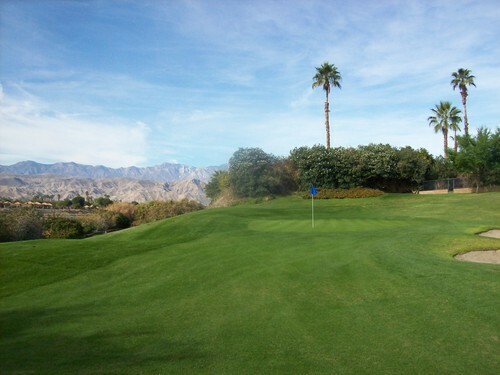 Bel Air Greens (also known as Tommy Jacobs’ Bel Air Greens) is a par-30 course with three short par-4s and a decent mix of par-3s. Again, the layout isn’t that bad, but the conditions were so awful I would never recommend it. I remember driving by the course earlier this year (in the summer) and it looked like a deserted war zone, but I hoped it might be at least somewhat decent this time of year. 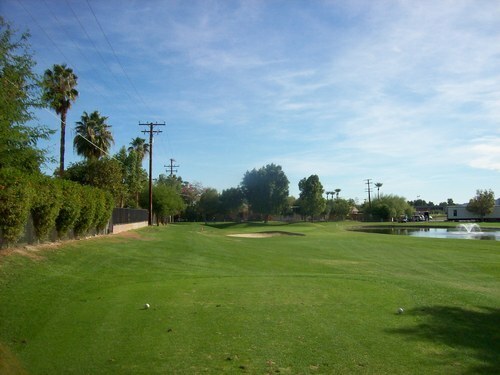 I actually played nine more holes, but they were not on a “short” course. 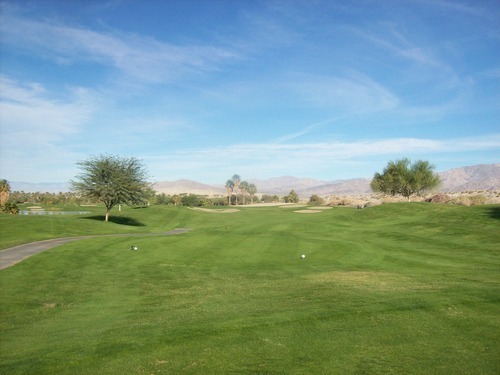 I had enough time to finish some previously unfinished business at Desert Princess Country Club. I decided to tack that brief review of the Vista nine onto my other review of that course rather than discuss it here. You can click here if you want to check it out.